Training in Chennai provides 100% real-time, practical and placement focused Informatica training in Chennai. 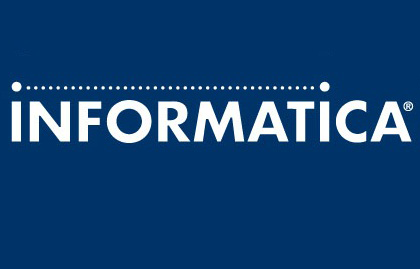 Our Informatica® course concentrates from basic level training to advanced level training. Our Informatica training in completely focused to get placement in MNC in Chennai and certification on Informatica after completion of our course. Our team of Informatica trainers are Informatica certified professionals with more real-time experience in live projects. Our Informatica Course syllabus is enough for anyone who wants to get Informatica® certification which meets industry expectations. In our course plan, you will learn Data Warehouse Introduction,Informatica Concepts and Overview,Sources,Targets,Transformations – Active and Passive Transformations,Workflow Manger,Indirect Loading with practical exercises and live examples. Our Training in Chennai is completely looking to offer this Informatica training in various places in and around Chennai. Our Informatica training centres are equipped with perfect environment to learn with all required facilities. We guide our Informatica® training students to be a certified at end of our course. In the last six months timeframe we are completed Informatica training for more than 100+ students with excellent feedback and placements. We are charging very competitive in the market which helps to bring more Informatica professionals into this market. Our Informatica training course fee is very nominal which anyone can pay in instalment basis as well. We are having multiple class timings which suit everyone who wants to learn in their own timings. Our Informatica® training will be scheduled in regular weekdays and weekends based on the students request. We do have fast track Informatica training and online Informatica training with one-to-one basis. We are giving more Informatica® training for corporates which employees of their company will be benefits with our training. Migration –XML migration and Folder Copy.